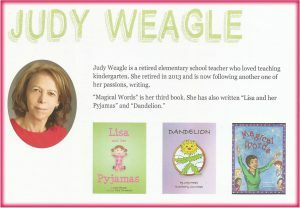 MEET Children’s Author & Educator, Judy Weagle!! Yes! It’s another Reading with Your Kids Podcast! 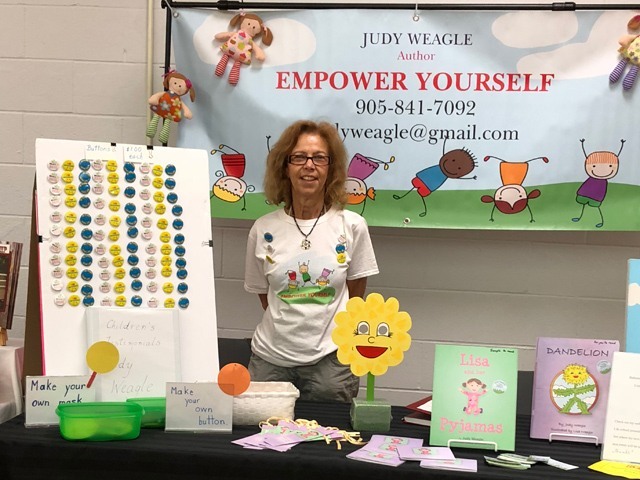 Join us to welcome author Judy Weagle who taught elementary school for 25 years and is now writing books to empower children through storytelling with themes of positive persistence and anti-bullying. Judy is here to talk about her wonderful children’s books including “Lisa and her Pyjamas” which is based on positive persistence and tolerance. “Dandelion” is based on anti-bullying. “Magical Words” is based on respect and positive empowerment of others. So what are you waiting for? Tune in & join the fun! My name is Judy Weagle. I was born and brought up in Hamilton, Ontario, Canada. I graduated from McMaster University in Hamilton and also from Hamilton Teachers’ College. I taught elementary school for twenty-five years. I taught in the Halton Separate School Board, the Sudbury District Roman Catholic Separate School Board, and the York Catholic District School Board where I retired from in 2013. Now I have chosen to self-publish children’s books in order to continue to empower them through my books and my presentations. So far I have written and published three books. My first is titled “Lisa and her Pyjamas”. The second is titled “Dandelion” and the third one is “Magical Words”. I intend to continue writing stories and perhaps even poems in the near future to empower children and also to motivate them to do right and positive things in their lives. 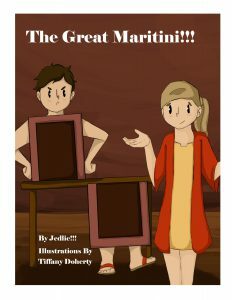 Where can we find Judy and her books online? What was the inspiration for her books in the first place? Lisa and her Pyjamas is a great story about overcoming bullying. Why tackle this issue? What makes your book about bullying different than all the others? What are some of the important lessons her books teach to young children? A huge thank you to Judy Weagle for joining us and for sharing her fun little book with us! PreviouslyLet’s Discuss “Ten Little Night Stars” by Deb Gruelle!! Read NextWelcome to STEM Week Ft. Jennifer Swanson! !